This applet lets you look at break even points in finance. The controls at the right let you set the variable costs per unit, the fixed costs and the price of the product. 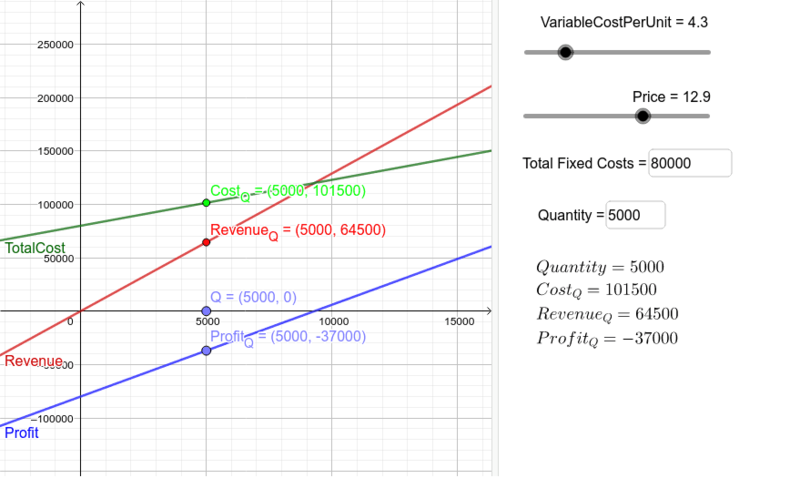 The graphs at left show total costs, revenue and profit. The point Q is draggable and lets you find the values for your favorite quantity. Quantity can also be set with the box at right.